The Parisian club is looking to expand its presence and generate greater revenue in Asiam and has set its eyes on Indonesia, one of Asia’s largest football markets. PSG have academies in, among others, India, Egypt, Morocco and Brazil. The academy will be open to players 6 to 19-years-old and will offer training in line with the PSG curriculum. There will also be an exchange programme on training skills and methodology between both clubs through the Parisian youth development academy. “We share the same philosophy [as PSG]. We share same knowledge, we adapted to the same style and PSG Academy is open to everyone who wants to play the PSG way,” PSG Academy head coach Benjamin Houri told Bali United TV. Bali United and Multistrada are owned by Pieter Tanuri, who has secured a sponsorship deal with PSG and Achilles-Corsa, an Indonesian tire brand officially partnered with the French club until 2019. No figure was announced for the sponsorship. 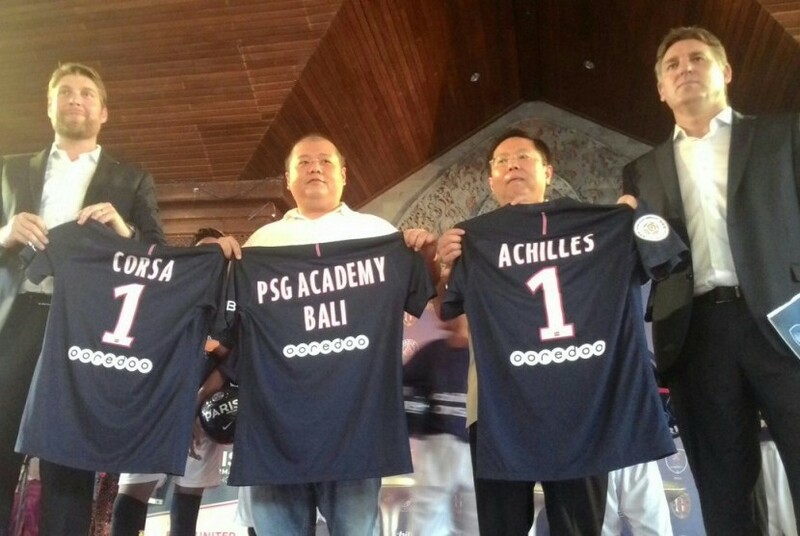 “We, Bali United, are proud to launch PSG Academy. We aim to develop players from here to the world level as we believe the academy will make players to meet international standard. And PSG have many times become champions in France,” Yabes said. The Paris Saint-Germain Academy in Bali will be inaugurated at the start of 2017.